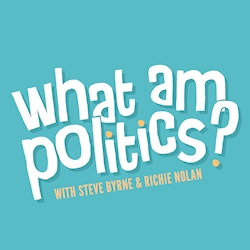 Buy What Am Politics? a Coffee. ko-fi.com/wappod - Ko-fi ❤️ Where creators get paid by fans, with a 'Buy Me a Coffee' button. Buy a Coffee for What Am Politics? Est. Jan 2017, we are a comedy/politics podcast that tries to bridge the gap between the madness of today's news with the madness of Steve and Richie's conversations. Do you enjoy our show? Then how's about buying us a coffee? Or better yet, a beer! If you do, we will appreciate it almost as much as Ted appreciates a good bit of cheese. Secured Payments. Support goes to What Am Politics? 's account. Upgrade What Am Politics? to a yearly Gold Membership with a one-time payment.